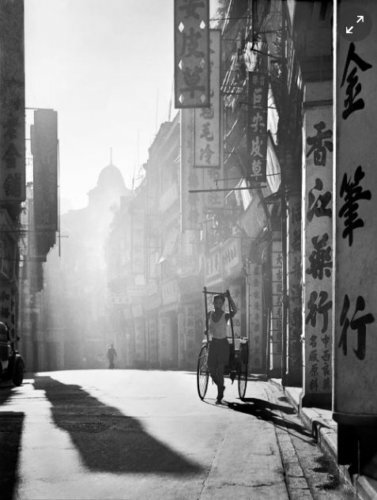 Ho Fan’s 何藩, extraordinary black and white photographs have appeared in several SCMP articles, linked below. He was born in Shanghai in 1937 where he started to take photographs when he was very young. He says the first thing he shot was the Bund taken with a Brownie, a “very simple, old-fashioned camera”. He immigrated with his family to Hong Kong at an early age and began photographing with a Rolleiflex camera his father gave him. Largely self-taught, his photos display a fascination with urban life, exploring alleys, slums, markets and streets, depicting street vendors and children only a few years younger than himself. 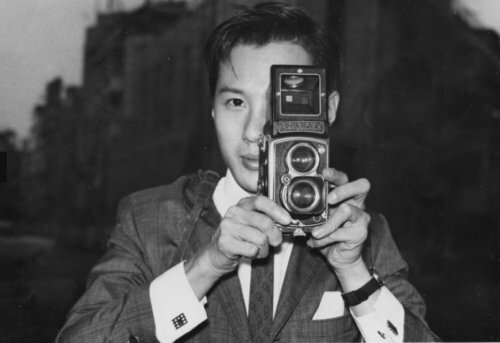 He developed his images in the family bathtub and soon had built up a significant body of work, chronicling Hong Kong in the 50s and 60s as it was becoming a major metropolitan center. His photographs included many with an industrial connection including two favourite subjects rickshaws and bamboo scaffolding. Ho Fan died in San Jose, California, on 19 June 2016 at the age of 84. This article was first posted on 15th August 2014. Updated 25th June 2017.